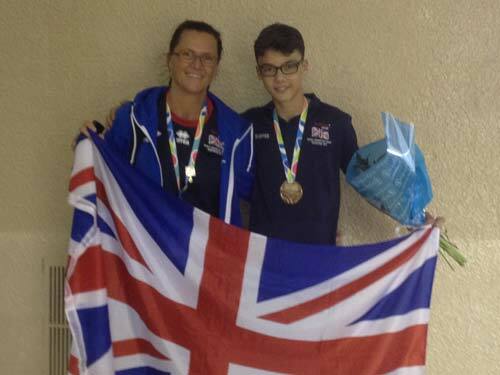 Lewis at the age of 14 was selected to represent Great Britain in the 2015 World Transplant Games in Argentina. Lewis "qualified" for these games on a) his sporting prowess and b) his transplanted kidney (donated by his mother Su in 2011) following kidney failure in 2010 due to the rare MPGN Type 2. It is thought there are only 10 sufferers in the country and his family have helped set up a charity mpgnddd.org.uk to assist others with this condition. In August 2015 I was lucky enough to travel, with my mother and sister, to Mar del Plata, Argentina, for the World Transplant Games. This was my first world games, and the first world games to be held in South America! It was a very interesting experience to travel to Buenos Aires on our way to Mar del Plata. The food in Argentina is very different to ours, but very good. My limited knowledge of Spanish did help! I was meant to take part in 3 events at the games. Ball throw, badminton singles and badminton doubles. Unfortunately, the ball throw was at the same time as the badminton, on the other side of the city, so I did not compete in the ball throw. However, as a small consolation, after checking the best throws online I realised my personal best was better than the person who won Gold! Therefore, I might have won Gold? Anyway, I took part in the badminton singles, and to my surprise, found myself in the final playing against my Great British doubles partner and good friend of mine. I won this match and awarded the Gold medal in Badminton. This was arguably one of the best moments of my life. I had beaten around 8 opponents to get this medal and it felt fantastic. Our doubles competition was not quite as successful; however, I was ecstatic that I had won a medal at all! None of this would have been possible without the kindness and generosity I received from everyone at Knyveton Gardens Bowling Club and all the clubs in the Bournemouth and District area who helped to raise funds for my trip. I would like to say a huge thank you to everybody that helped in any way. Finally, some good news. Whilst I was in Argentina I learnt that if a Junior athlete won a gold or silver medal for Great Britain, they would be automatically selected to take part in the next World games in Malaga, Spain in 2017. Having won Gold, I am hoping to attend.